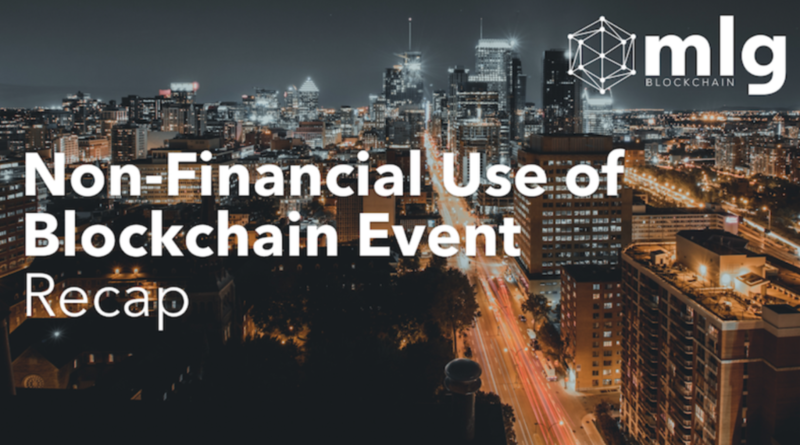 Beyond finance, what other use cases can blockchain technology impact? This article was originally posted on the MLG Blockchain Medium. Blockchain technology is certainly growing a vibrant following in the city of Montreal. 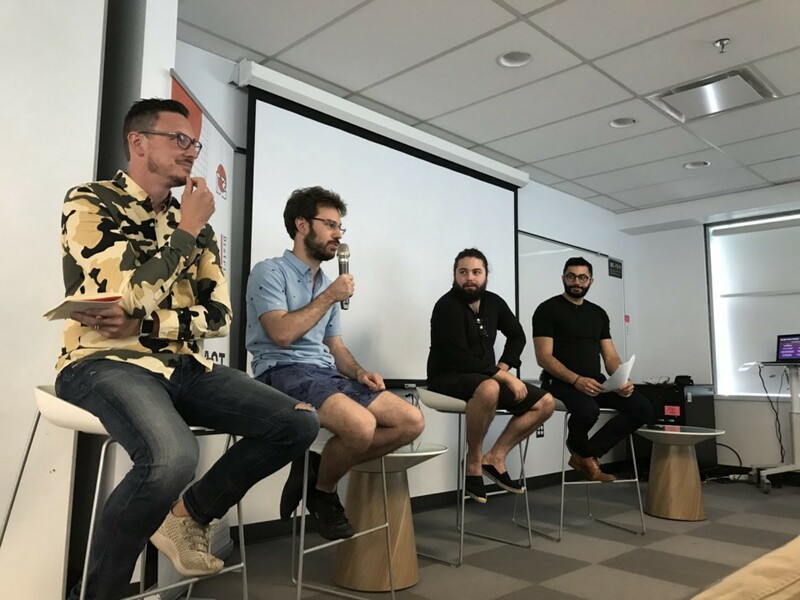 On July 11th, a room full of technology enthusiasts, blockchain developers, entrepreneurs, researchers, and students gathered at Concordia’s District 3 Innovation Centre (D3) to learn about non-financial applications for blockchain technology from leading entrepreneurs and experts. Jeremy Clark, an Information Systems Engineering Assistant Professor at Concordia University, has experience in researching and teaching Bitcoin, cryptography, blockchain, Ethereum and fintech. He began the evening with a discussion on what blockchain is and how its purpose is to create a decentralized space for ensured security and integrity. Clark also spoke about cases he’s researched including end-to-end verifiable voting systems, as well as applications for supply chain management and the complicated process of tracking items across borders. Blockchain can provide a network for different stakeholders and trace goods as they move through the supply chain system. His students are looking at how this technology can be integrated into multi-party computation, and be used to secure domain names via registration on platforms like Ethereum. His work at Concordia involves security and privacy on the web, as well as the regulation of cryptocurrencies such as Bitcoin. Jeremy Clark speaking to the audience at the Non-Financial Use of Blockchain panel discussion. Vincent Gauthier, also present on the panel, is a founder of BlockHouse, an innovation center for decentralized technology in Montreal and his company Catallaxy provides blockchain technical support. On the topic of non-financial uses of blockchain, Gauthier commented that “timestamping can leverage the security and the immutability of the blockchain.” He referred to the recording of documents, messages, and transactions with digital signatures and directories for auditing measures, patenting, last will & testaments, as well as land registry use cases. Gauthier noted that blockchain’s applications for these purposes are important for ensuring transparency, validation and recognition. He also spoke on supply chain best practices for traceability and reducing corruption through a trust-based process enabled by blockchain. The panel, from left to right: Jeremy Clark, Vincent Gauthier, Pascal Leblanc and Khalil Haddad. Pascal Leblanc, the Founder of Mantle Technology and a Blockchain Strategic Advisor, brought a freshly combined corporate and entrepreneurial outlook on the topic. He is a self-proclaimed “serial entrepreneur” who has worked in the blockchain space since 2011. He noted that “mathematical validation” as well as “integrity, immutability, and synchronicity” are among the various value propositions that blockchain brings to the market. “For the first time in history, it’s possible to have digital data that is immutable and non-alterable, and this is a huge deal by itself… in the digital world, authenticity was impossible before blockchain”, said Leblanc. Use cases he highlighted in his presentation include secure record-keeping, certification and authentication, and the ability to work collaboratively. His company Mantle Technology provides virtualized blockchain solutions for enterprises looking to rapidly deploy maintenance-free, decentralized, and scalable applications on different infrastructures simultaneously. 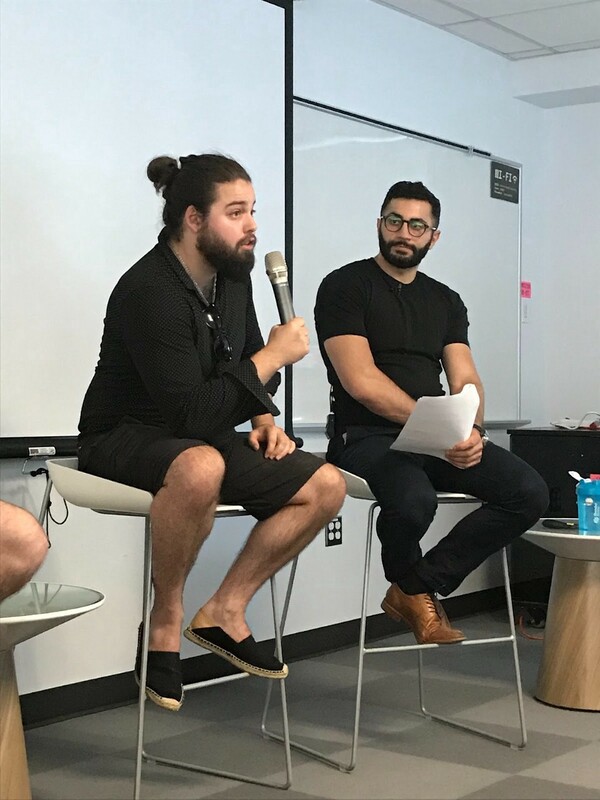 Pascal Leblanc, left, and Khalil Haddad at the Non-Financial Use of Blockchain event in Montreal on July 11, 2018. Khalil Haddad is the Marketing and Communications Manager from D3, and led the discussion panel to conclude the evening. Back on the topic of timestamping applications, Clark remarked that this was an interesting field to look at, but that the key to its application is increasing efficiency and removing intermediaries. He continued to note that there is a lot of dysfunction we don’t normally see that removes democratization from the process of creating decentralized systems. Leblanc also added that we’ve seen a huge change in the gaming industry’s monetization and customization scheme as a result of blockchain technology being applied to the creation process. When questioned on the sustainability of blockchain, Leblanc noted that blockchain technology has better algorithms and is exponentially faster than quantum computing. In the long-term evolution of both technologies, he said blockchain will certainly be the cheaper option. Meanwhile, Gauthier pointed out that blockchain has evolved similarly to the Internet, and Clark added that the main challenge to its growth is user adoption and scalability. The panelists agreed that there needs to be more efforts to increase the education of blockchain solutions. MLG Blockchain is committed to ensuring that blockchain education and adoption continue to accelerate throughout Canada and internationally. To keep up to speed with what we’re up to, follow us on Twitter, Facebook and LinkedIn.